By participating in a cadaver training program, practitioners of all specialties can reduce the chance of developing unwanted side effects and may enhance the probability of the more desirable outcome for patients. Our first objective as Physicians is to “do no harm”. Attend up to 25 workshops FREE with a Platinum Membership! An Advanced Cadaver Training course involving facial dissection on fresh cadavers taught by Renowned, “Celebrity” physician, Triple Board Certified Plastic Surgeon, Ramtin Kassir, MD and Top Anesthesiologist and renowned Aesthetic, Anti-Aging and Regenerative Medicine Physician Specialist, Azza Halim, MD. Upon completion of the workshop, participants will gain a thorough understanding of facial anatomy while learning how to safely perform facial procedures, and learn how to manage and treat complications. This program is a mandatory requirement for all attendees to participate in other Aesthetic hands on courses. (Either the live program OR the Video on Demand will satisfy requirement) This program represents a significant advancement in our methods to ensure all attendees are trained expertly and safely. Exemption: Dermatologists and Plastic Surgeons only. The incidence of serious complications in Aesthetics related to facial injections or other facial procedure has been well established. The objective of this Facial Anatomy Cadaver Workshop for Aesthetics is to provide detailed training in Facial Anatomy to understand how to correctly and safely administer the various Aesthetic Products. The program has been created and will be instructed by highly renowned Plastic Surgeon and Top Anesthesiologist. Facial Aesthetics Anatomy Training is your first step and basis for injecting patients safely and confidently. For experienced Dermatologist and others, this kind of training is essential to remain current and knowledgeable in Aesthetics. This training details protocols and techniques to avoid complications and, training to manage complications related to facial injections and facial procedures. Aesthetics is a booming industry and thousands of Physicians and health care practitioners flock to training programs all over the US and abroad to learn these techniques. At Empire Medical Training, our objective for graduates is to not only become proficient at the various injection techniques but also to thoroughly understand the anatomy that is central to all the injectable procedures and for safe administration. It is common for the medical practitioner to have a false sense of confidence when performing dermal filler, or other facial aesthetic techniques due to the relatively low incidence of complications. Although the risk is low, complications such as blindness can be permanent and non-reversible. Learning proper technique will help you ensure your methods are safe and effective. 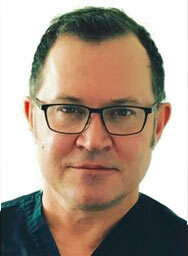 Advanced Facial Anatomy Cadaver Workshop for Aesthetics (LIVE OR VIDEO PROGRAM): A requirement for all non-core (other than Plastic Surgeons and Dermatologists) attendees who wish to participate in any Facial Aesthetic Hands On Course. This valuable program will serve to help practitioners avoid complications while performing Aesthetic injections and procedures. Learn from “the best” how to avoid poor outcomes, complications, as well as legal and malpractice issues. Empire strongly urges participants to complete either the live Facial Cadaver Workshop* OR the Video ON Demand* program which will satisfy the requirement. The Video ON Demand* program can be viewed at any time from your "MyMembersPortal.com". Graduates will receive a Certificate indicating their completion of this Advanced Facial Cadaver Course and a written statement on each Certificate earned in Aesthetics. Certificates should be submitted to your malpractice carrier. Empire is proud to offer this highly relevant, practical, advanced Facial Anatomy, Cadaver-Training program conducted by renowned and experienced plastic surgeons and cosmetic dermatologists. The program provides a combination of didactic presentations along with extensive cadaver demonstrations of relevant anatomy. Once anatomical landmarks are correctly identified and learned, proper technique becomes second nature. With the myriad of nerve and vascular bundles comprising the face, there are many structures to avoid in order to reduce the risk of complications. Throughout the course, participants will gain a thorough understanding of safe technique by learning the anatomy of the face and associated structures. This One day Cadaver program will help the practitioner increase their knowledge of Facial Anatomy for non surgical facial rejuvenation. Test your skills and expand your knowledge by attending this cadaveric dissection using fresh frozen un-embalmed cadavers to fully understand facial anatomy for safe and proper facial Aesthetics injectables using fillers, cannulas, and PDO threads for non-surgical facial enhancement. This program is geared for the Practioner who wants to perfect their skills as well as learn in depth the latest techniques in facial aesthetics. The curriculum will consist of a Morning Didactic Session reviewing anatomy literature , landmarks, blood supply, and nerve innervation to the upper and lower face. The Afternoon Session will be a workshop to demonstrate the various fat pad compartments, skin layers, blood supply (arteries and veins) and nerves so that you may visualize where injectables should be placed to achieve the best results, potential complications, various injection techniques as well as thread insertion. This program will be a live demonstration only as it is not intended to teach dissection skills but instead to allow one to understand, visualize, and practice safely, properly and enhance Aesthetic results utilizing the pearls, tips, and expertise shared in this class. Along with learning how to avoid complications, this training will provide the practitioner with detailed information for managing and treating complications. This knowledge separates the inexperienced from the expert Aesthetics specialist. During the training you will learn how to handle the most common and not so common problems and complications. You will also receive a complete “checklist” on what supplies you must always have with you , prior to inserting a needle into a patient. This “Aesthetics Crash Cart” will serve as the basis for treating all complications in Aesthetics. You will learn the correct protocols and standards for treating such complications. Empire has selected a team of renowned experts to conduct your training. 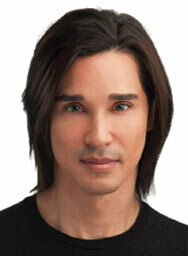 These physician specialists represent the very best in Surgical and Non Surgical Aesthetics. 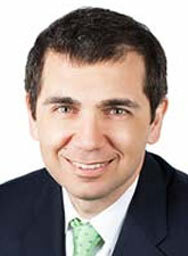 Dr. Ramtin Kassir, MD is a renowned, “Celebrity” Plastic Surgeon and Sought-after practitioner. He is feature don the “Real Housewives of New Jersey” and on “Fox News” and ABS’s “THE DOCTORS”. 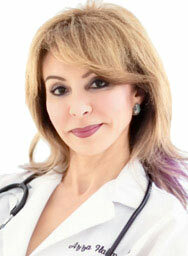 Dr. Azza Halim, MD is the Clinical Director for Empire Medical Training and is a Board Certified Anesthesiologist as well as Aesthetic Medicine, Anti-Aging and Regenerative Medicine Physician.